A strategic race game that’s similar to Chinese Chequers. The winner is the first to transfer all their pieces from one corner to the corner opposite. 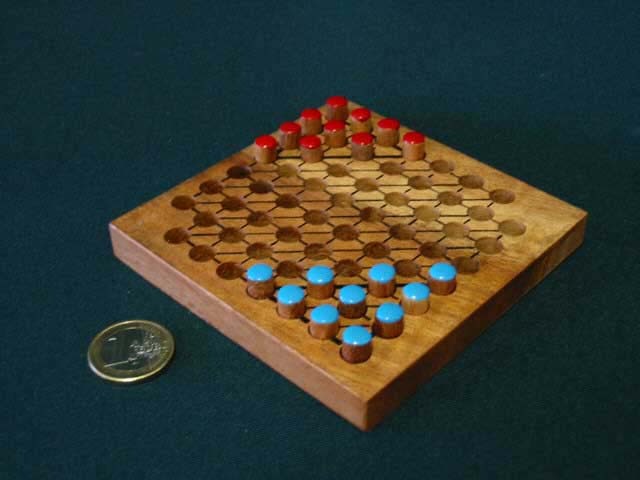 Square board with 7 mm playing pieces in a thin plastic box. Rules included. Dimensions 110 x 110 x 27 mm. Weight 85 grams.